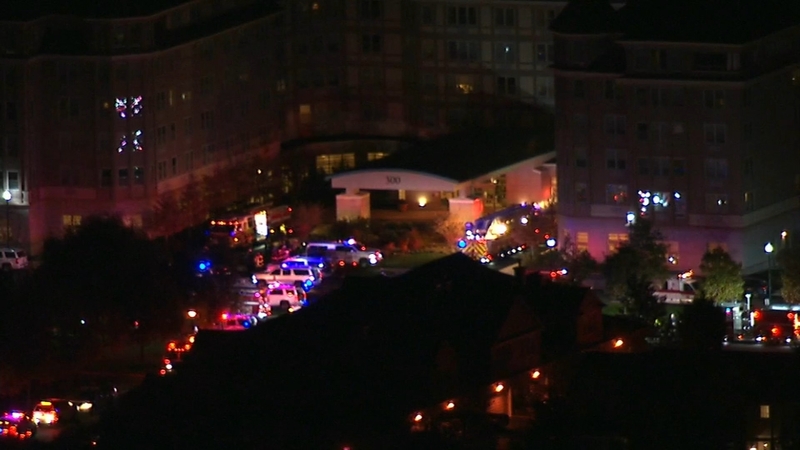 PORT WASHINGTON, Long Island (WABC) -- Smoke in an apartment caused multiple floors of a senior living center on Long Island to be evacuated Monday. It happened at The Amsterdam at Harborside Senior Living on East Overlook around 5:15 p.m. Firefighters said smoke in a resident's apartment triggered the fire alarm to go off and activated the sprinkler system. Residents on two floors of the facility were evacuated as a precaution. The person who lives in the apartment where the smoke originated was taken to the hospital to get checked out, and has since been released.